Plastering For Beginners (“us”, “we”, or “our”) operates the https://plasteringforbeginners.co.uk website (the “Service”). Plastering For Beginners will also retain Usage Data for internal analysis purposes. Usage Data is generally retained for a shorter period of time, except when this data is used to strengthen the security or to improve the functionality of our Service, or we are legally obligated to retain this data for longer time periods. If you are a resident of the European Economic Area (EEA), you have certain data protection rights. Plastering For Beginners aims to take reasonable steps to allow you to correct, amend, delete, or limit the use of your Personal Data. The right to withdraw consent. You also have the right to withdraw your consent at any time where Plastering For Beginners relied on your consent to process your personal information. Ox Speedskim Review – Is It Worth It? 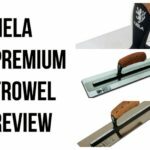 Nela Trowel Review – Is It Time To Change? Anyone can plaster. You simply need a workable system and a professional to show you exactly what to do. Thats where we come in! This website has everything you need to start plastering. Take a look around, get involved and start skimming.